American Cruise Lines - Designed for the cruise enthusiast looking to explore the history and fabric of America in a casual style. Harbor Hopping in New England, Antebellum South Cruise, Chesapeake Bay Cruise, Hudson River Summer and Fall Foliage Cruises, Maine Coasts and Harbors Cruise, East Coast Passage Cruise. 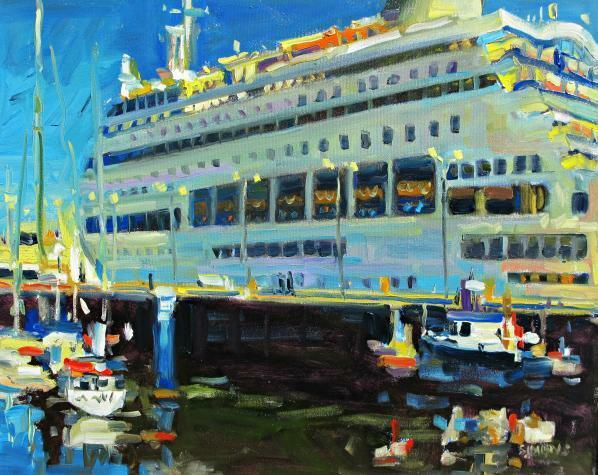 Anchors Away Cruise Center - Cruise consultants based in Burlingame, California. Atravco: Cruises - View over 17,000 pages of cruises, tours, and vacations for planning your next trip. All major cruise lines; more than 3,000 cruises with 24 cruise lines around the world. Best Price Cruises - Discount cruise-only specialty travel agency. Celebrity Cruises - High quality, superior design, spacious accommodations, grand style, attentive service and exceptional cuisine. Choose Your Cruise - Travel professionals knowledgeable about the options available for your cruise experience. Cruise information, cruise insurance, cruise quotes, cruise FAQ. Choosing Cruises - Cruises from 45 cruise lines and 175 ships with detailed itineraries as well as more than 150 Sail From destinations and 1500 ports of call. Cruise Critic - Cruise reviews and information site. Cruise2 - Cruise portal providing cruise discounts, cruise line and ship profiles, bulletin board and more. Cruise Critic - Publishes objective information covering all aspects of cruising including profiles on almost 50 cruise lines with in-depth candid reviews of more than 150 cruise ships, luxury canal and riverboats, sailboats and expedition vessels. Cruise Lines International Association (CLIA) - The official trade organization of the cruise industry, CLIA also works in partnership with nearly 21,000 affiliated travel agencies throughout North America to ensure the highest caliber of cruise sales expertise and service for cruise vacationers. Cruise - Discounted economy cruises and luxury cruises worldwide on all major cruise lines and cruise ships brought to you by Omega World Travel. Cruise Community - Business-to-business portal for the cruise industry. Cruiseweb - Find and book a cruise vacation on-line. Cunard Line - One of the world's most recognized brand names with a classic British heritage is operated by Miami-based Cunard Line Limited. EuroCruises - River and sea cruises in Europe. Flagship - Specialises in Sydney Harbour cruises and private charter boat hire. Freighter and Cruise Travel - Personalized service in booking freighters and other long and unusual cruises. Holland America - A five-star fleet of nine ships, award-winning entertainment, exceptional cuisine, and an amazing variety of activities for all ages. Icruise - A leading purveyor of cruise vacation travel boasting one of the most complete cruise ship databases online. Inner Sea Discoveries - Provides up-scale, luxurious yacht cruising in Alaska's Inside Passage. Luxury Cruise Company - Specialise in organising personalised cruise itineraries aboard the world's finest vessels - ocean liners, cruise ships, river cruisers and private yachts. Marella Cruises - Sails to more than 120 destinations across the globe. OnlineCruiseAgency - Cruise online reservations, real-time availability, pricing, ship and cabin pictures, cruise reviews, specials, much more. Orbitz: Cruises - Cruise search. Orient Lines - Destination-oriented cruise vacations to some of the most exciting and exotic corners of the globe: Mediterranean, Australia, New Zealand, Africa, India, South America, Southeast Asia, and the South Pacific. Passenger Shipping Association (PSA) - Representing cruise and ferry companies operating in the UK. Ponant Yacht Cruises and Expeditions - A sophisticated à la française lifestyle on board with exploration and discovery. Radisson Seven Seas Cruises - The fourth largest luxury line offers a broad spectrum of distinctive vessels and voyages. Regent Seven Seas Cruises - Luxury cruise vacations from Regent Seven Seas Cruise Lines including sailings to a variety of luxury vacation cruise destinations: Alaska Cruises, Europe and Mediterranean Cruises, Tahiti Cruises, World Cruises and more. Royal Caribbean Cruise Line - Also see What to Pack page. 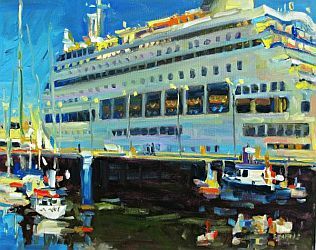 Seaview Cruise and Ferry Information Service - SeaView is delivered in two sections - Cruise View and Ferry View - catering to those interested in all matters relating to international cruising and those interested in UK and European ferries. You'll find up-to-date details on cruise lines, ships, cruises, the ports that they visit, and how to save money. Silversea Cruises - Renowned for extraordinary worldwide voyages aboard intimate, all-inclusive ships, Silversea is a luxury cruise line that offers unparalleled service and superlative comfort. Swan Hellenic Cruises - River and ocean cruising worldwide. Vacations to Go - Last minute and discout cruises. Viking River Cruises - Deluxe European river cruises from the comfort of five-star cruise ships. Sail past hilltop castles, quaint villages, and bustling cities along the romantic Danube, legendary Rhine and Moselle, enchanting Rhone and Seine, tranquil Po, historic Elbe or Russia's fascinating Waterways of the Czars. World Cruise Company - Committed to providing curious travelers with thoughtfully crafted circumnavigations of the world - at an outstanding value. World Explorer Cruises - Cultural and educational cruises to Alaska and Central America. World Ferry and Cruise Guide - Worldwide ferry schedules, routes, pictures. This webpage last updated on Saturday, May 19, 2018 3:28 PM.